The NOTECONS01 KVM Console to USB 2.0 Portable Laptop Crash Cart Adapter turns your notebook or netbook into a portable server crashcart, eliminating the need to lug around a large, heavy and awkward video screen, keyboard, and mouse. 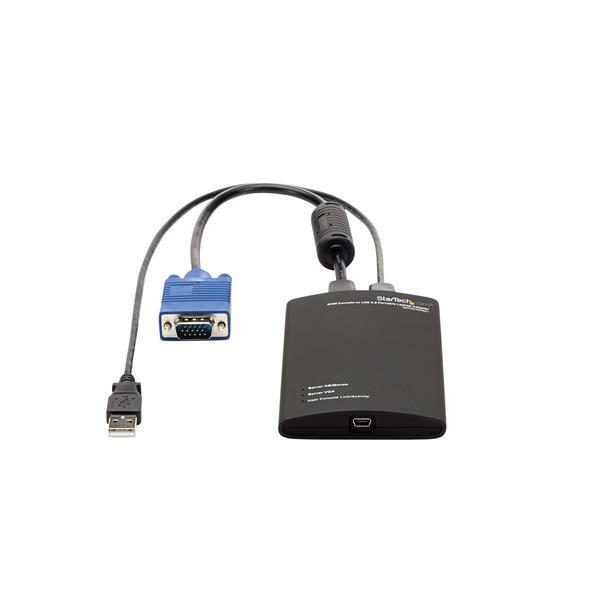 This adapter delivers the VGA stream from any host computer to a laptop and emulates the laptop mouse and keyboard outputs for simple access and control of connected servers, PCs or other "headless" devices. "StarTech.com's USB KVM may be your new best friend for trips to the datacenter... you can use this from the back of the rack. So if you are handling issues that require moving cables or network connections... this can be a major timesaver." 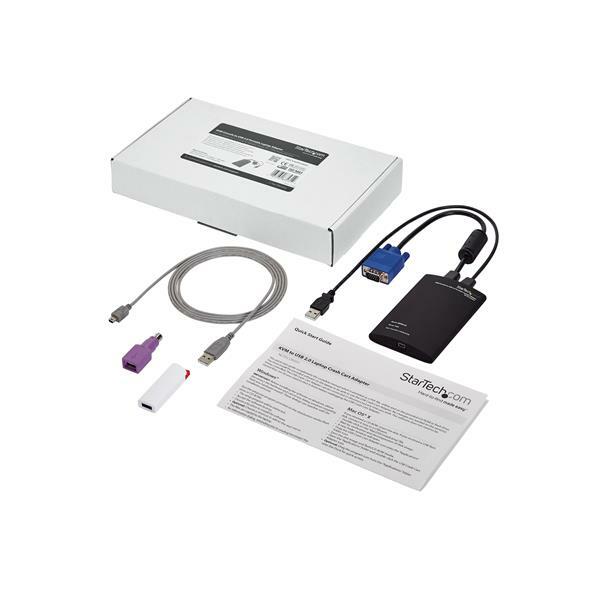 "The CRN Test Center recommends StarTech's Crash Cart Adapter for any company with a data center or with technicians servicing computers in the field"
With portability for the mobile administrator or repair technician in mind, this USB-powered adapter features a small-footprint design that requires no additional accessories to connect to most servers, and requires no server-side software installation. 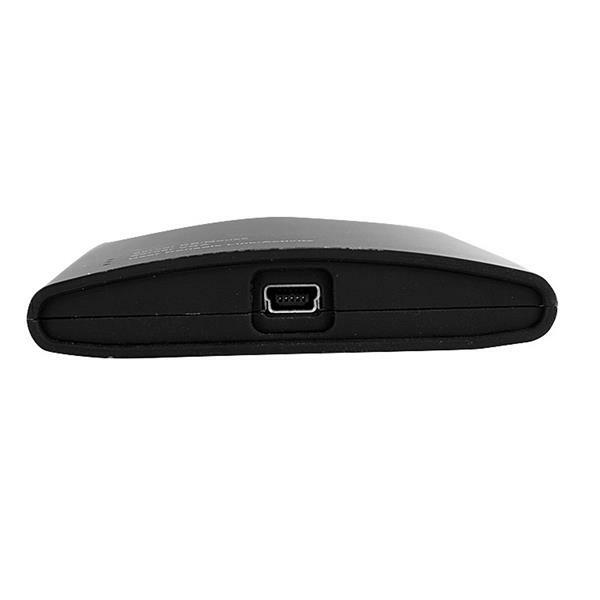 Plus, the pocket-sized adapter draws its power from the server-side USB connections, allowing the laptop/netbook to last longer without consuming battery power. Ensuring full control of the connected units, the Laptop KVM Server Console Adapter provides immediate access to the POST screen and BIOS, plus the ability to handle full configuration of the attached PC or machine; administrators can connect to a headless server/device without the need of an expensive LCD rackmount console or bulky monitor, keyboard and mouse solution. After your computer restarts, connect the USB crash cart adapter to your computer. I have had this for several years, recently the video output is missing the color red. The VGA connector looks fine, no missing or pushed down pins. We are sorry to hear the NOTECONS01 is displaying color issues. If you are seeing this on more than one VGA Server we would first suggest a complete uninstall and reinstall of the software. This will cause the software to attempt to reapply the firmware when used again which may help this issue. If you continue to see issues, please do not hesitate to contact us at 1 800 265 1844 or www.startech.com/chat available 24 hours a day 5 days a week. I bough half a dozen, and I'm a bit disappointed. Only vga support, no proper linux/esx, and last no virtual media support. On the upside its a small device. Thank you for your feedback on NOTECONS01. 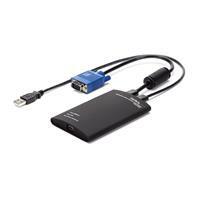 You're correct that it is meant to be used with a server with VGA, but with the proper video adapter, it can work with HDMI, DVI, DisplayPort, etc. Currently it can't be used with an ESXi host to connect to a server, however it is compatible with Windows® XP, Vista, 7, 8, 8.1, 10, Windows Server® 2008 R2, 2012, 2016, Mac OS® 10.6 to 10.14, and LTS versions of Linux kernels 2.6.x to 4.11.x. If your application requires virtual media support, we encourage you to consider our NOTECONS02. It is a similar product with some extra features such as file transfer and video capture. This expensive product used to work great with OS X and now it requires multiple restarts of the application with every session. It's barely functional now. Thank you for reviewing the NOTEONS01. We apologize for any trouble this caused you. The NOTECONS01 is fully supported on MacOS 10.6 up to the latest 10.14, so this is not normal behavior. We recommend uninstalling the software currently on your Mac, and reinstalling using the latest drivers found here: https://www.startech.com/NOTECONS01#dnlds If you encounter any difficulties or have any additional questions, please contact our Technical Advisors at +1 (800) 265-1844 or www.startech.com/chat. We are available 24 hours a day 5 days a week to offer support. Hello, the adapter worked very well whilst Windows 7 was installed on my Notebook. But since I've been migrated to Windows 10 the NoteCons01 Adapter isn't working properly anymore even I am using the latest driver software for this kind of the Adapter. So as soon as a Output Screen coming from the connected Device is changing, the Adapter Software needs to be restarted to get awareness of this change. Otherwise the output of the Card Adapter is frozen and not synced with the Device Output. Thank you for your feedback on NOTECONS01. We apologize for the problems you've had since migrating to Windows 10. It's possible that some of the files or dependencies for NOTECONS01's software were modified during the migration to Windows 10. We recommend uninstalling the currently installed software and reinstalling the latest version of the software available on NOTECONS01's product page. If you find you're still having any issues or if you need any assistance with reinstalling the software, please reach out to our Technical Advisors at 1-800-265-1844 or www.startech.com/chat. We're available 24 hours a day, 5 days a week, to provide support. Somewhere along the way this is no longer consistently working for my iOS devices. I am not sure if its the iOS upgrades or the unit is failing but finding help is not a trivial task. When I originally got this years ago it was pretty solid but no longer the case. The KVM adapter works well when it works, however, had to get my employer to provide me with a Windows laptop since the adapter stopped working when they upgraded our Macbooks to High Sierra 10.13.3. The drivers state they support 10.13 but they do not work. My employer will not provide me with a new adapter (supposedly NOTESCON2 supposedly works with High Sierra) so I'm stuck between a rock and a hard place. I repair servers and in data centers and many client site this tool has saved me many hours of waiting. It was always important to watch the the server complete it post on power on. It is certainly worth it. I love this adapter, but would like to see better copy and paste options. Overpriced, but handy if you don't have access to physical console crash carts and travel. Invest in cheap kvm cables to protect pins on this device as they will eventually get damaged from constant plugging and unplugging. App does not seem to support Mac OS High Sierra, but work in Sierra. --- Update: June 6, 2018 --- New drivers for the NOTECONS01 have been posted to our Support page, currently adding support up to macOS 10.13 (High Sierra). For the latest OS Compatibility information, please refer to the Technical Specifications tab on our product page. Thank you for taking time to review our NOTECONS01. Unfortunately, we only officially support Mac OS 10.6 to 10.9 with that model of unit. We do have a newer version, the NOTECONS02, that has been tested up to macOS High Sierra (10.13) using the latest drivers/software on our website. This device is one of the best gadgets I've ever bought. I used to connect to servers using standard monitor, mouse and keyboard. No more messing with vga/power cables to get monitor working. This device saved me already lots of time that I would otherwise waste on finding, connecting and moving monitor. (5 stars) Gets the job done, and well. I have been planning on buying this since it was announced and only recently got to it. I have worked in the field for 15 years and consider this (conceptually) to be pretty much the most useful thing in a toolkit after a Phillips screwdriver. The device works really well, I have used it both under Mac OSX 10.9 and Windows 7 at this time, it assists me both in the server room, and at my desk. No longer do I require a dedicated spare Keyboard/Mouse/Monitor at my desk, nor do I need to worry about connecting to our servers that do not have KVM functionality. I have run into a single issue with the device which I suspect is a limitation of Apple hardware, I was unable to activate the boot menu on a Mac Mini using the host, I ended up plugging a keyboard in to trigger the event, still using the NOTECONS01 for Monitor access. For me this was not a deal breaker at all (I did try several things and settings adjustments without success). If you are a technician that plans on using this in the field extensively I would recommend packing a DVI to VGA, as well as a MiniDP to VGA (active) and MiniDP to DP adapter. This will ensure you can connect the device to any display output you are likely to encounter in the field. If you are thinking this will be an invaluable tool for working in the field/datacenter, you will be happy with this products performance.